We are extremely exited to announce that FCAT purchased 164ha of primary forest for conservation inside the Reserva Mache-Chindul (Mache-Chindul Reserve)!! The reserve has a lek of the long-wattled umbrellabird, along with many other endangered species of bird and primate. We started building a scientific station that will support our local community engaged research project and also national and international researchers and students. We expect to have this ready by June 2019, everyone is welcome to visit and collaborate with our projects! On August 17th at midday we will have a big welcome party to everyone interested in coming! The banded ground-cuckoo (Neomorphus radiolosus) is an endangered species that’s only found in the Chocó forests of Ecuador and Colombia. It’s incredibly elusive, which makes it difficult to study, and little is known about its biology. 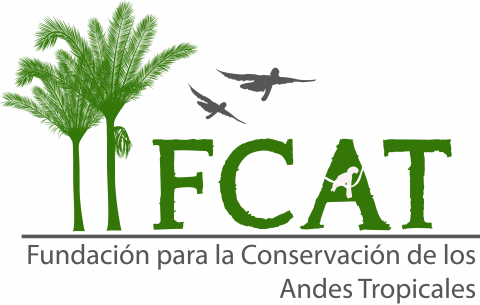 In July, members of FCAT, who have conducted some of the only studies on the banded ground-cuckoo, provided technical support for the project “Monitoring of the banded ground cuckoo” led by Fundación Jocotoco.